Invite dad to his barbecue with a special card that has all of the details inside. 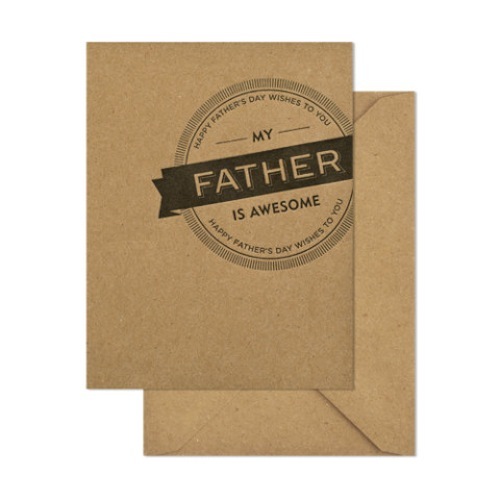 I love this Kraft card from Sugar Paper. It has a clean letterpress design that is very cool and masculine. Dad will love it. Teach dad a new way to grill over a chic fire pit. Grill up hot dogs and fresh veggies. 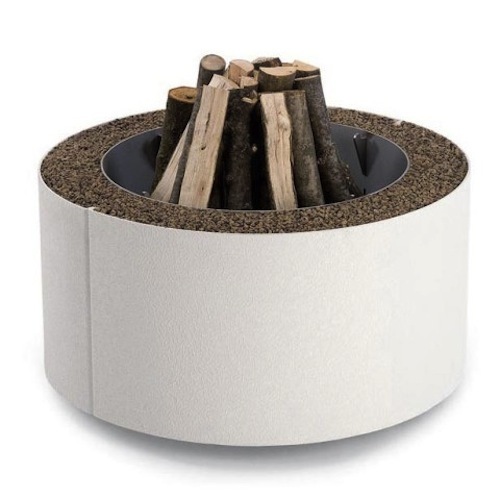 You can even set up a station to make smores over the fire. While you may want dad to rest on Father’s Day, we all know he’ll want to be apart of the action. Make sure he has the right tools. 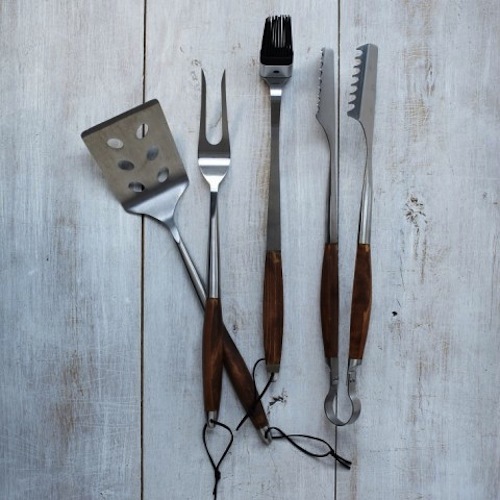 This grill set from West Elm is one of my favorites. It has the coolest wood details. Be sure to add some fun decor to the event. Be on the lookout for whimsical plates and glassware. 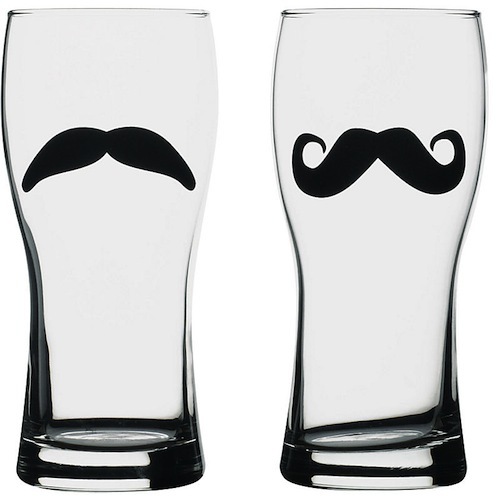 These mustache glasses from Paper Source are sure to be a hit. 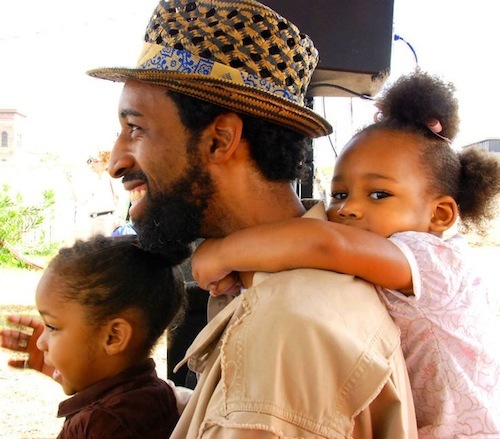 And a day for dad would not be complete without music. 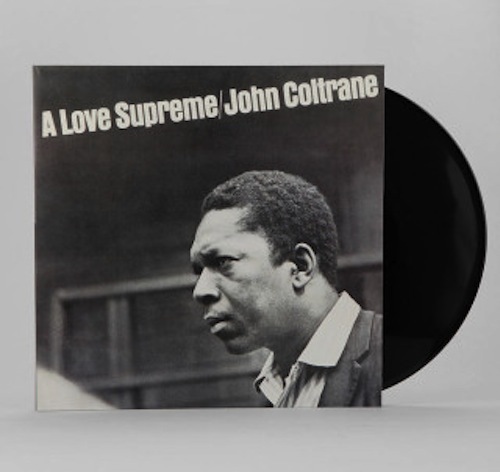 Throw on some of his favorite jazz records and set the mood for a perfect daddy’s day.